Get your floors looking new again with Sound Cleaning residential floor stripping and waxing services. Our Floor Technicians undergo extensive training, a certification process and have a minimum of 10 years of floor care experience. We are professional at every stage of the process: communication, scheduling, care of your premises, appearance, and of course the end result. Sound Cleaning is skilled at stripping and re-waxing your hard surfaces to make them look shiny and new. Using a floor scrubber, we remove all old wax, dirt and debris. We take extra care in the corners and mask around baseboards and carpeted areas. Applying up to five coats of new, high performance wax brings back shine and luster to your floors. If you are looking for a residential floor waxing and stripping services company, Sound Cleaning Resources will get the job done right. What type of floors do you strip and wax? 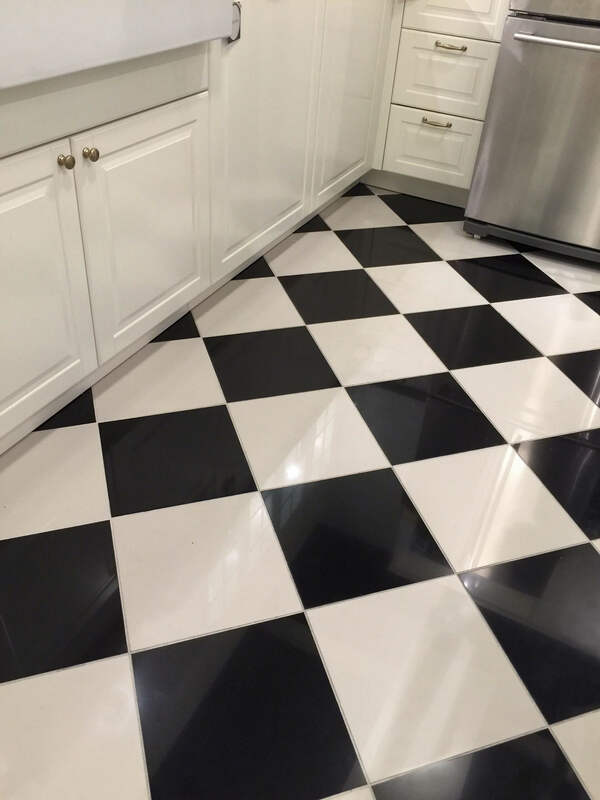 We offer residential stripping and waxing services for: Vinyl, vinyl composite tile (VCT), linoleum, Marmoleum, Forbo, Laminate, sealed cement, wood floors, tile, ESD flooring, antistatic flooring, static control flooring and more. We also offer commercial waxing and stripping. What is your residential floor stripping and waxing process? First, we extract the floors of dirt, dust debris, etc. Next, we strip all of the old wax, dirt, grime, etc. from the floors with a power scrubber. Next we utilize a hard surface steam cleaning tool up to 1000 psi to remove ground in dirt, grime, etc. if necessary. Then we Apply up 5 coats of Professional High Performance Floor finish providing diamond like brilliance, clarity, and long lasting durability and performance. Finally, we polish the floors if needed with a hoghair pad. We use a floor scrubber to remove all old wax, dirt and debris. Four to five coats of wax or sealer is then applied. To finish the process, we use a high powered propane burnisher to buff the floors hardening the finish and enhancing the shine. How do you clean residential tile, natural stone and grout? We use a floor scrubber to remove all dirt, grease and debris. Next, we extract soiling from the grout using a hard surface steam cleaning tool up to 1000. Excessively dirty and hard to reach grout is scrubbed by hand. Sealer is then applied to the grout. First, we vacuum the floors extracting dirt, dust debris, etc. Next, we deep clean the floors with the power scrubber removing dirt, debris, grime, etc. Next we utilize a hard surface steam cleaning tool up to 1000 psi to remove ground in dirt, grime, etc. if necessary. Then we apply 1 -2 coats of Professional High Performance Floor finish providing diamond like brilliance, clarity, and long lasting durability and performance. Finally, we polish the floors with a polishing pad. How long does it take to dry after residential floor waxing services? A newly waxed area can be walked on with light traffic as soon as we’re done and heavy traffic in 4-6 hours depending on temperature, ventilation, humidity, etc. Are you insured for residential floor waxing and stripping? Do you have references specifically from other residential floor waxing and stripping customers? How much does it cost for residential floor waxing and stripping? It is the greater of $.80 – $1.00 per square foot or $595.00 minimum depending on the type of surface, process and size of the area. Call us at (425) 451-3337, click here for an online estimate form or email us at info@soundclean.com for a free customized estimate.